Thanks for visiting BaldThoughts.com… the intersection of travel and personal finance. My philosophy is to “Travel More. Spend Less. Live Better.” I’m frugal by nature, but I’m not afraid of spending money for amazing experiences that I’ll remember forever. However, if there’s a way to reduce the expense of travel, I’m all over it! Essentially, when you have your personal finances in order, you can afford to travel more because you don’t have debt crippling your budget. And without that debt, your credit score will be better, which will qualify you for the best credit card offers. By being smart with your choices, taking advantage of promotions, and integrating miles and points into your travel budget, you’ll save money on travel, which will allow you to accelerate the paydown of debt and invest for your future. Finally, by addressing financial worries and traveling more (aka spending more time with friends and family), you’ll lead a happier, healthier life. 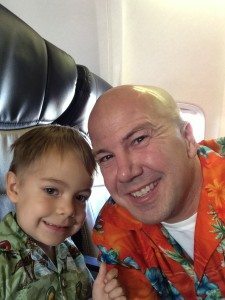 Here are a few of the posts that I recommend you check out to help you learn how I implement this philosophy into my everyday life and how our family travels all the time, yet spends less than most people who on go on 1 or 2 vacations a year. I travel all the time, whether it is for work, with the family, or a “boys’ trip” with my buddies. It wouldn’t be possible if I didn’t learn so many awesome tricks to reduce the costs of travel. Here are a few examples of where I (or my friends) literally save thousands of dollars while traveling. You can check out some of my other travels on the Trips page. On that page is a list of my list of the trips I’ve taken (and links to reviews of the places we stay and recommendations of things to do there), and it is broken down by year, so you can filter more easily. If you would like help in figuring out how your family can travel more, spend less, and live better, we offer free travel advice to help you achieve your goals.